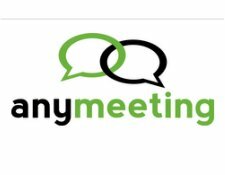 This week we’re pleased to cast the spotlight on Anymeeting — a free, fully functioning, web conferencing and meeting tool — based in Orange County, CA. 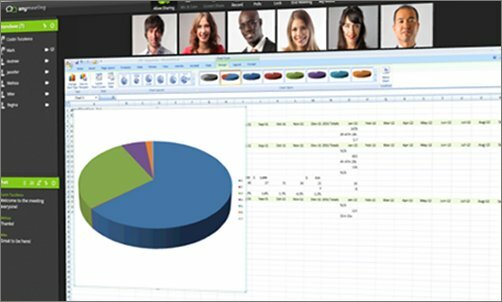 Anymeeting provides a fully featured web conferencing application to over 200,000 small business users, worldwide. Small and medium-sized businesses can host online meetings with up to 200 participants, send invitations, promote conferences on social media, and even record meetings for future use — all for free! The free version is ad supported. According to Anymeeting, “users are presented with non-intrusive ads that appear during the meetings and in the account managements tools”. The company also assures its users that “all advertisements are high-quality and generally targeted to business professionals.” Alternatively, clients who don’t wish to view ads can subscribe to the (paid) versions of the application, where all ads are removed. Although there are a number of vendors in the web-conferencing space, Anymeeting states that its goal is to “provide free, world-class web conferencing that competes with the best paid services available.” Anymeeting appears to be in a good position. According to Monik Seth, research analyst for AMI-Partners, “spending on web conferencing solutions by small businesses is on the rise and is expected to grow 26 percent annually through 2016.” So, if you’re a small business owner who has not yet realized the benefits of web conferencing and online meetings, Anymeeting could be a good solution for you to check out. The founders of Anymeeting wanted to provide a web conferencing solution to its target market (small and medium sized businesses) that addressed all of its needs — including the desire for a fully featured application that was affordable, or free! 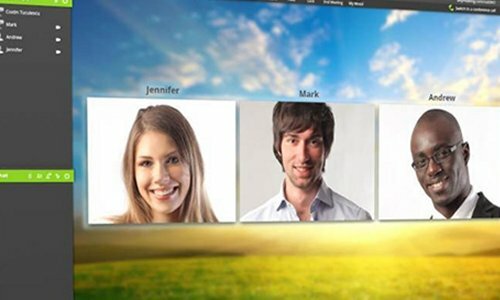 Unlike many competitors in the web conferencing space, the free version of Anymeeting’s application has all of the features offered in the premium editions. The only difference is that the free version contains display ads; these ads underwrite the costs associated with providing the application at no cost to its users. In addition to basic web meeting functionality, Anymeeting addresses other small business web conferencing requirements like invitations and registration, screen sharing and recording, and social media integration. David Gerken, V.P. 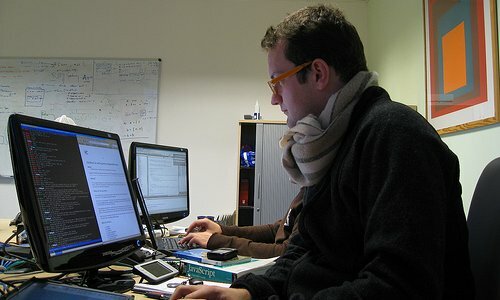 of Business Development for Anymeeting, says that the application is also “very intuitive,” and that people “pick it up very quickly, even if they’ve never used web conferencing tools before.” Gerken says that although there are other web conferencing solutions on the market, “these tend to be focused on enterprise customers and their needs”, he says. Anymeeting focuses “squarely on the needs of small and medium-sized businesses,” he says, “and yet we can provide enterprise level features for them — for free,” he adds. If you represent a small business with big web conferencing plans (but have a bootstrap budget), then Anymeeting may be a good fit for you. Like Monik Seth points out above, more and more businesses are realizing the value of web conferencing everyday — and this trend is expected to grow for next several years. Mr. Gerken also offers another couple of tantalizing opportunities to get involved with Anymeeting. If your business targets SMB customers, this just so happens to be the target audience of Anymeeting too. “We have partnered directly with advertisers who want to reach small and medium-sized businesses,” says Gerken. “If any of your readers represent brands that want to target this audience, we’d love for them to get in touch with us,” Gerken says. Also, exclusively for Sprout Insights readers, the first 10 people to sign up for one of AnyMeeting’s ad-free service plans will get the first month of service free when they enter the coupon code: SPROUT. You’d better act fast though — this offer is good only until October 10, 2012. Contact Anymeeting through its website, on Twitter, or on Facebook.